Comment: Over the past six years I have written several articles about the wrongs and decadence of University Campus Grown Fraternities (UCGF) (some deleted) with insider knowledge. I more recently even developed two essay series out of them, namely, Fraternities are Viruses in Nigeria and The Leadership of a Bad Brother (both which do not names persons or fraternities) with another series in making that does mention names. A major international media house and a documentary film maker have even contacted me for my expertise on the matter. However, over a decade before me Omoleye Sowore (in 2002) had written one of the most important articles on the source problem of cults (UCGF) in Nigeria and its possible remedies. I am sure many readers will agree. 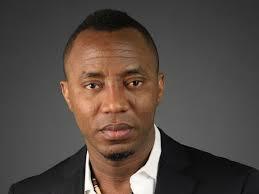 Sowore writes: It takes a lot of gut to disagree with someone of Professor Soyinka’s standing in the world. In almost every sense he has used his courage, expertise, connections and skills to intervene on behalf of Nigeria to obtain a freedom from terror, democracy and respect for human rights, it is common knowledge that he has done very well and I mean excellently well in his capacity as literary giant, activist, Nobel laureate and Pan Africanist. I don’t want those to prevent me or anyone from seeing things differently from the way he sees it, I am sure when Professor Soyinka speaks the whole wide-world listens with rapt attention, it is difficult to flip a page in a book, or newspaper that has his imprints on it without reading it. Recently in Ibadan while delivering a lecture titled “Cults, counter culture and the perils of ignorance” Prof. Soyinka tried to defend the organization he created at the University of Ibadan by stating that they were instrumental to saving Nigerians from Abacha and also took a swipe at the press for promoting a negative image of the Pyrates Confraternity ( The National Associations of Seadogs-NAS). I rose from the student’s movement in Nigeria during the Babangida years, later to the Abacha evil regime, and finally the Abubakar era. I must say here that the greatest set back to the student struggle against military rule was the level of senseless cultic violence that attended the period. The cult groups that derived their clandestine existence from the Pyrates Confraternity era were clearly the tools in the hands of the military to create diversion from social- political issues on campuses. Almost all the campuses in Nigeria were taken over by cult violence. It took a lot of effort on the part of some students’ union activist in Nigeria to clear the cult groups disturbing distractions in order to fight directly against the military. I know that someone of Professor Soyinka’s standing hates to see his name dragged along with the senseless killings carried out by cult gangs on Nigerian campuses, it is clear from his statement that he does not want the Pyrates Confraternity to be associated with the other cult gangs prowling Nigerian campuses, it discernable from his outburst that he would wish that the PC was exonerated from the bizarre blood letting going on within Nigerian universities but I think that it will be proper to consider doing something more concrete that blaming the press. The fact remains that Professor Soyinka is a man of international repute who commands respect from every corner of the world. I think that he should use his local and international status to change the status quo ante. His declarations were aimed at lending his reputation as a dogged fighter to the Pyrates Confraternity as a whole but I am afraid that it was a messianic message carried too far. The Nobel prize that was once awarded to him was created in the name of a Swedish industrialist who invented dynamite -Alfred B Nobel- who later committed the rest of his wealth to promoting peace. I had asked to meet Professor Soyinka when he was visiting at The New York University to pick up an award with hope of asking him to help make the extirpation of cultism from Nigerian Universities a reality. He voiced his concern about the cult gangs with a lot of bitterness, he was disappointed to hear that as a political activist I was injected with poison by cult gangs at the University of Lagos, to learn that the act was led by a police officer- Frank Odare-was puzzling to him, he felt bad that no one was punished for the egregious act against my colleagues and I. Since then , I have not had a chance to speak with him. I will like to say here that cultism in Nigeria is a huge problem, it is Nigeria’s campus version of crime(s) against humanity, it is a problem that has perpetrators and created victims. The perpetrators and victims are well known and Professor Soyinka should not ignore the reality that he was part of the beginning of the clandestine cult movement in Nigeria. He should face the problem headlong with due care and diligence without feeling unease, he has confronted bigger problems in his lifetime. First, I will urge the Pyrates Confraternity ( The National Association Seadogs) to disband or commit to changing their name, the truth is that men and women of the caliber of Professor Wole Soyinka, Olu Agunloye and others have no business carrying demeaning colonial nomenclature like the “Pyrates” or intimidating aliases from the Animal kingdom like “Seadogs”. I believe members of this group are very powerful , they have really powerful men within the power structure and the elite who have made a difference in Nigeria by living an open life. The truth is that their clandestine nature is no longer justified because they have achieved a lot in the open. Professor Soyinka himself is well recognized today because of his open disgust for a clandestine power structure in Nigeria and most importantly for his literary works which are consumed by intellectuals in open libraries around the world. Secondly, the Pyrates Confraternity should commit its members and resources to a center that promotes transparency and openness amongst young people in Nigeria, it should open it center to promote the ideals for which Professor Soyinka is well known -Justice and Freedom for all-and not a restrictive “inner chamber” that only permits people who want to live a clandestine life that give them a special sense of belonging. They should openly destroy their insignia and instruments of secrecy before the public and renounce “cultism” in every form as a way of bidding good bye to the imitation that exist in their own image- the bloody cult gangs. Thirdly, Professor Soyinka should set up an award or Scholarship Fund in his name to be given to students in higher institutions who have worked courageously to support, promote and institutionalize human rights in an open, transparent and just manner on campuses. This should be given to student activists who have no ties or involvement with cultism. Fourthly, Professor Soyinka should work to seek out and support victims of cultism and campaign vigorously to expose perpetrators of cult violence in Nigerian institutions of learning. I don’t think many Nigerians including educated ones like those who have read his declaration will agree with him totally that the Pyrates Confraternity has no blame or responsibility for the beginning of an all consuming gang violence prevalent on Nigerian campuses today, especially when they have to listen to stories of cult killings everyday or wish that their innocent brothers, sisters and children attending Nigerian universities do not fall victims of cult violence. People might defer to Professor Soyinka with reverence because of his status but that doesn’t make him right on this. Nigeria needs a strong moral figure to solve myriads of national ills, I believe Professor Soyinka has acted in that capacity unquestionably, but he will need to do this for my generation. I don’t think anyone will be helping the situation by blaming the press. In fact, I think the Nigerian press did as mush if not more than any known pro-democracy group in fighting the Abacha regime to a conclusive end. I like the courage of Omoyele but it’s obvious his knowledge of the PC is limited. I grant him that a group like the BAN has its origin tied to the PC but that’s all there is to it. The PC has never been a violent group neither does it operate underground. This can be verified. The PC is indeed a social victim on cult related matters as all blames of cult ruthlessness is placed at its doorstep.